Team up and submit a great proposal by 18 October. 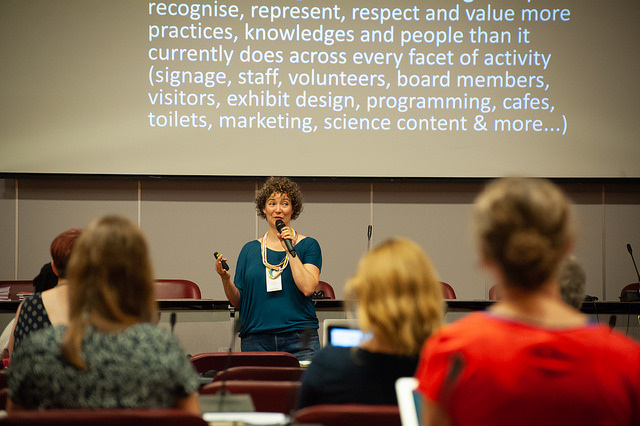 The 30th Ecsite Conference will be held in Copenhagen, Denmark, on 6-8 June 2019. Make sure your name is in the programme: get together with peers from different countries and organisations and pitch your session idea. Watch our little video for a light-hearted introduction and harvest precious tips from the dedicated page to maximise your proposal's chances of being selected by the Annual Conference Programme Committee. Deadline: 18 October, midnight (GMT+2). Your organisation might be eligible to an Erasmus+ grant - check out our handy summary of how things work.